Cake and balloons for the girls of Sunflower House. On 20 October the house had existed for 14 years. A reason for a small party. Together with the supervisors the girls cooked a festive meal. K.I.D.S. arranged the cake and there were balloons. The children enjoyed the extras.. The children in Sunflower House are doing well. 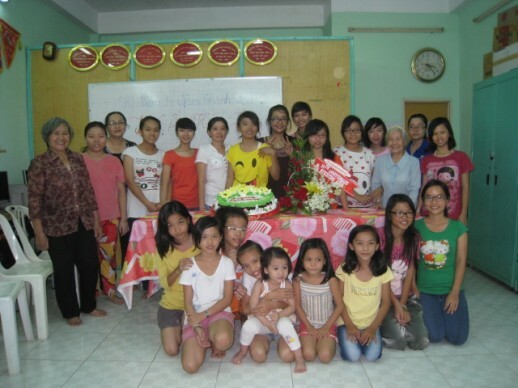 In the summer five girls completed their secondary education and left Sunflower House. Three of them were able to return to family or a foster family. Two girls moved to the newly-opened SPI House, where they live under supervision and study further at a college or university. Due to the departure of these children there was room for new girls, all between the ages of 7 to 12 years.